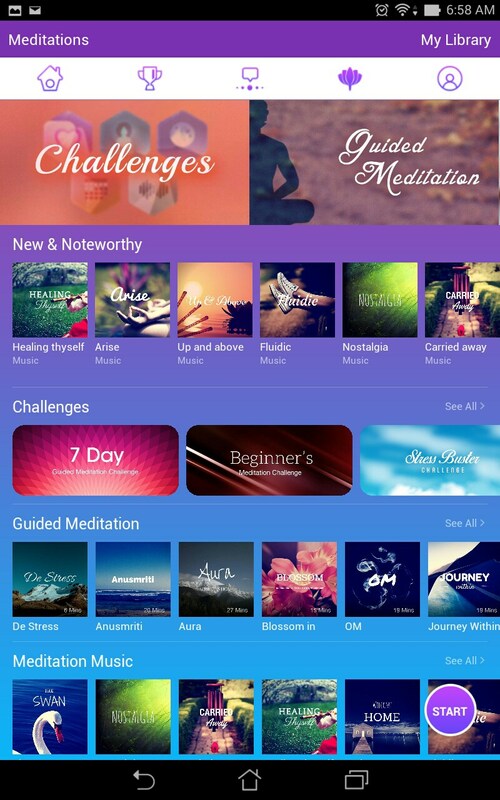 Sattva - Meditation App – Soft for Android 2018 – Free download. 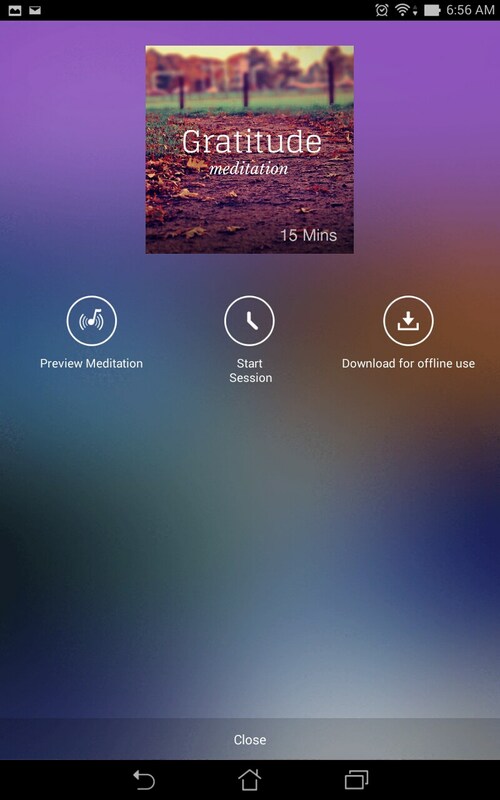 Sattva - Meditation App – A modest meditation timer. 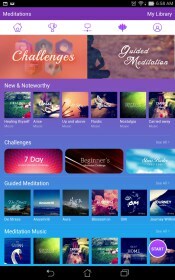 Sattva - Meditation Timer for Android aims to help you center yourself and be one with the universe via guided meditations. 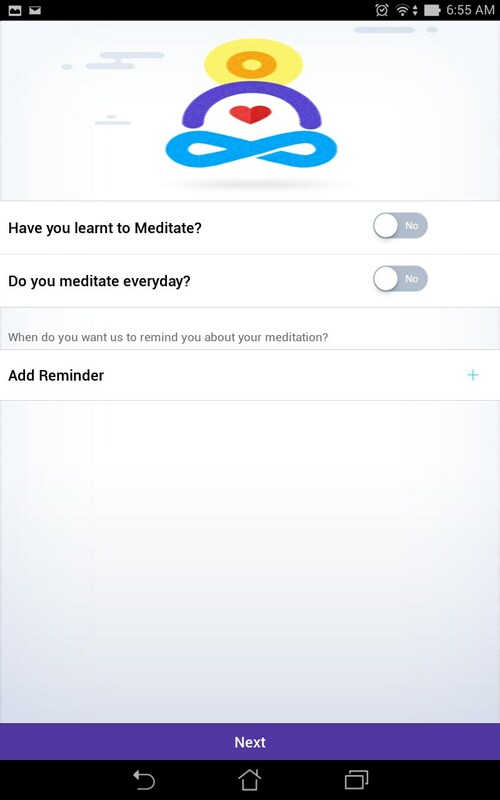 It purports to be the world's first advanced meditation tool, offering free guided meditations, a timer and modest mood tracker. This one is sparse but effective. 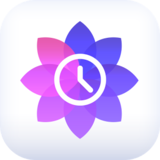 Sattva - Meditation Timer displays in portrait to offer daily reminders, insights as to the effectiveness of meditation and daily challenges to keep you motivated and consistent. Right off the top, you'll need to sign up for an account via Facebook or email or you won't get very far with this app; thus posing your first exercise in patience as you sign up for the obligatory account. 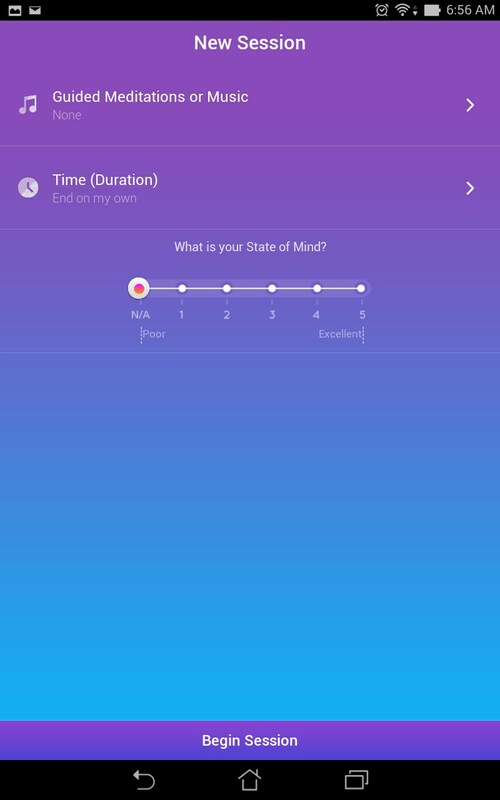 Once inside the app, you'll be prompted to start your first session and are presented with a very sparse, single screen interface, populated with 3 basic choices. 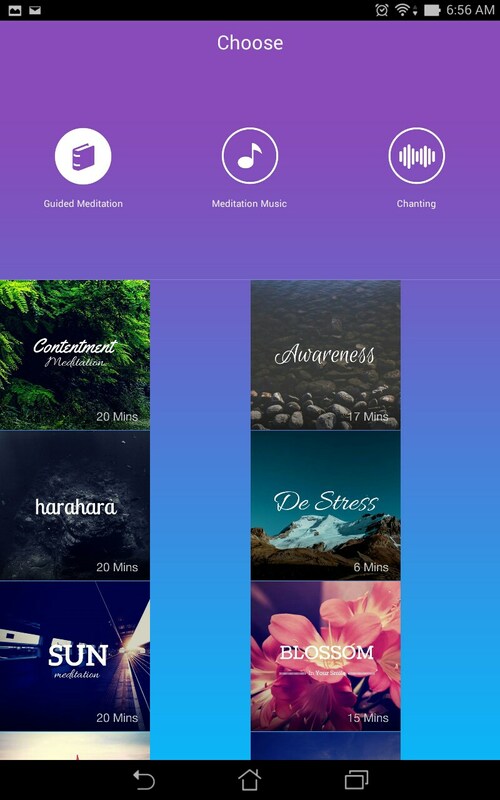 The first, prompts you to select the type of meditation you want; voice guided, music or chant, and there's an array of selections to be made for free. 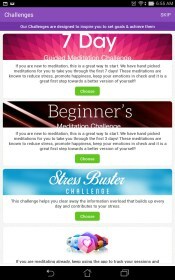 The second step, is setting the duration of your meditation, and you can select from various times listed, from 5 to 60 minutes, presented in 5 minute intervals; alternatively, you can opt to just awaken in your own time. The third and final step, is to select your current state of mind, from poor to excellent. Then just hit the start button and drift off. The app functions well, but feels very dry and sparse. 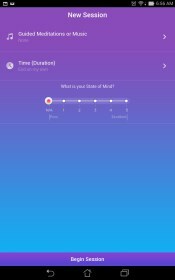 Upon completing each meditation, you'll be prompted to rate your state of mind again, from poor to excellent; the idea being, that you should be feeling better after each session. Your progress can be monitored over time with modest statistical feedback. 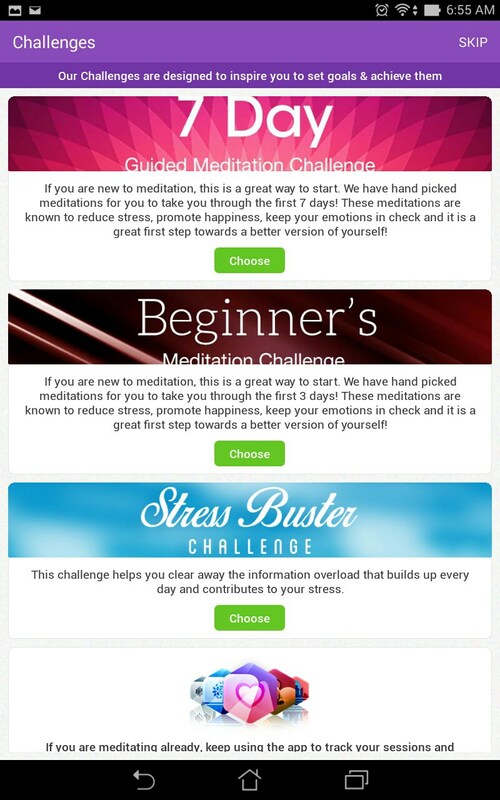 I found the daily challenges useful, but the trophies feel counter intuitive to what meditation is all about; it's not a competition with anyone, not even yourself. 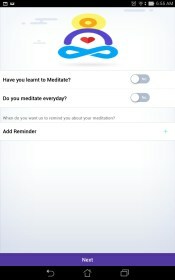 Sattva – Meditation Timer is decent enough but I’ve certainly seen better. This one needs a modern update.